The Pennsylvania Superior Court has just decided the case of Commonwealth v. Olson, holding that the new rule relating to DUI blood testing cases announced by the United States Supreme Court in Birchfield v. North Dakota may not be raised to challenge a DUI conviction in collateral litigation. This means that defendants who have been convicted of DUI based on evidence obtained via a now-illegal warrantless, coercive blood draw may not challenge their convictions by filing a Post-Conviction Relief Act Petition in Pennsylvania state court. In Olson, the defendant pleaded guilty to one count of Driving Under the Influence in September 8, 2015. Because the defendant had numerous prior convictions for DUI, he was sentenced to 18 months to 5 years in state prison. He did not file an appeal to the Superior Court. Instead, on August 17, 2016, he filed a Post-Conviction Relief Act Petition challenging the legality of his sentence. The defendant argued two issues: first, that the mandatory minimum sentence that he received for his criminal conviction was rendered unconstitutional by the Birchfield decision. Second, he argued that Birchfield created a new substantive rule which courts must apply retroactively where the defendant timely files a PCRA Petition. By way of background, Birchfield was an extremely important, recent United States Supreme Court decision in which the Court held that states may not impose criminal penalties on DUI suspects who refuse to consent to blood testing if the police have not obtained a warrant. This had the effect of radically changing Pennsylvania’s DUI laws because Pennsylvania had statutes on the books which imposed additional penalties on a DUI defendant in cases where the prosecution could prove that the defendant both was driving under the influence and that the defendant refused blood testing. Accordingly, Pennsylvania appellate courts have now found many sections of Pennsylvania’s DUI statute unconstitutional. Birchfield was decided between when the defendant in this case was sentenced and when the defendant filed the PCRA Petition, meaning the defendant sought to apply Birchfield to his case even though his case was already over by the time Birchfield was decided. PCRA Petitions are initially filed in the trial court in which the defendant was convicted. If a trial court denies a PCRA Petition, the court’s decision can be appealed to the Superior Court. Here, the defendant filed his PCRA Petition in the trial court, and the trial court dismissed the petition, finding that the Petition was not timely filed and that the rule in Birchfield did not apply retroactively to cases which were no longer on direct appeal. The defendant appealed, and the Superior Court affirmed the decision of the trial court. The Superior Court found that Birchfield does not apply retroactively to closed cases. It cited previous case law for the proposition that “a new rule of law does not automatically render final, pre-existing sentences illegal.” Instead, an old rule applies in PCRA litigation, also known as collateral review, if 1) the rule is substantive or 2) the rule is a ‘watershed rule of criminal procedure’ implicating the fundamental fairness and accuracy of the criminal proceeding. Substantive rules decriminalize conduct or prohibit punishment against a class of persons. Rules that regulate only the manner of determining the defendant’s culpability are procedural. The Court first found that the rule in Birchfield requiring a warrant before criminal penalties for refusing a blood draw could be imposed is procedural. The court reasoned that it does not alter the range of conduct or the class of persons punished by the law – DUI is still a crime, and blood tests are still permissible. Instead, it regulates only the manner of determining the degree of a defendant’s culpability. Accordingly, as the law stands now, Birchfield challenges cannot be raised by filing a Post-Conviction Relief Act Petition. However, additional appellate litigation may take place, and the Pennsylvania Supreme Court or United States Supreme Court could review this decision and reach a different conclusion. It is important to note that Birchfield continues to apply in pending DUI cases. States may not punish defendants who refuse to submit to warrantless blood tests for refusing to submit to the test. If you are facing criminal charges, we can help. 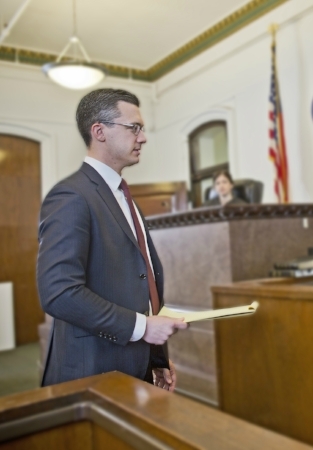 Our Philadelphia criminal defense lawyers and DUI defense attorneys have successfully defended thousands of cases. We offer a complimentary 15-minute criminal defense strategy session to every potential client who is facing criminal charges or who may be under investigation by law enforcement. Call 267-225-2545 to speak with an experienced and understanding defense attorney today.